augmen.tv - the TV revolution! The AR lens on every video. The SDK is coming soon! The AR future of video. 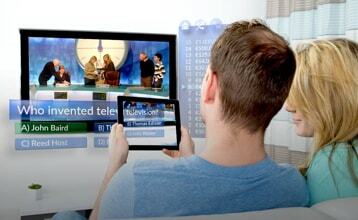 augmen.tv can turn any flat screen content into an interactive portal. 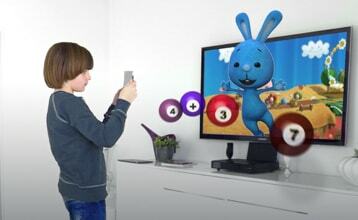 You can expand the linear video into your room and interact with beautifully engaging AR content by simply pointing a smartphone or tablet to the screen. The revolutionary technology is able to understand what you are watching, be it Live TV or online video, and delivers engaging and interactive content to the palm of your hand. With augmen.tv, you can now break the barrier between the virtual and real world by incorporating our SDK into your apps. Beautifully crafted AR or value-adding information - take your audience to a whole new level of engagement and entertainment. 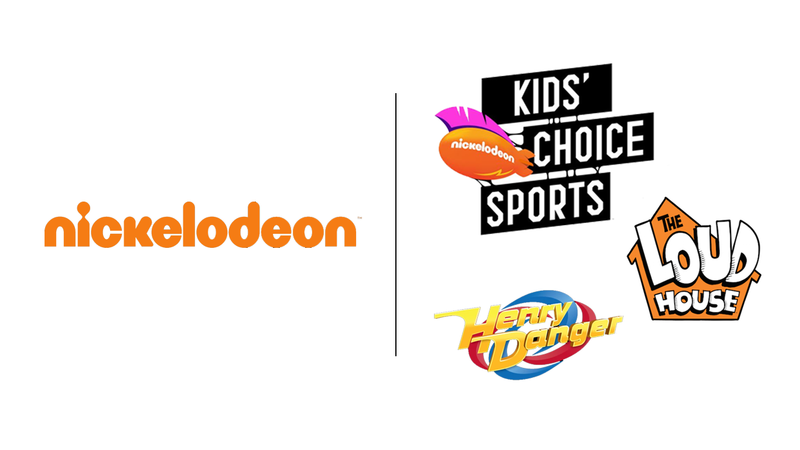 In 2018, we hit the US with nothing but the Nickelodeon Kids Choice Sports Awards 2018. The free Nickelodeon Screens Up! app, which is available for iOS and Android devices since July 2018, added slime and special effects to the KCS 2018 awards show. Since then, the companion app is used for a variety of series like Henry Danger, Loud House, and more to come. 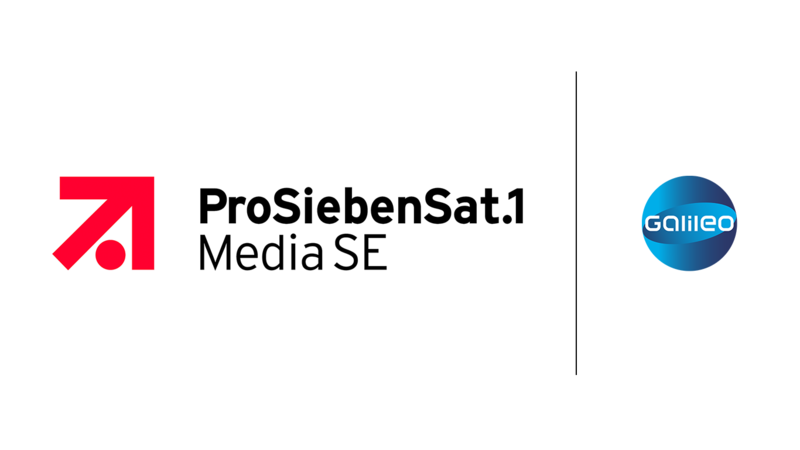 The world premiere of augmen.tv was launched in November 2017 for the daily science TV show Galileo with German broadcaster ProSieben. Products for every content producer. The Unity plugin will be available soon! Bespoke turnkey solutions for national broadcasters, major film studios and content producers. Cutting edge content formats become reality. You’ll be surprised by the unlimited possibilities. 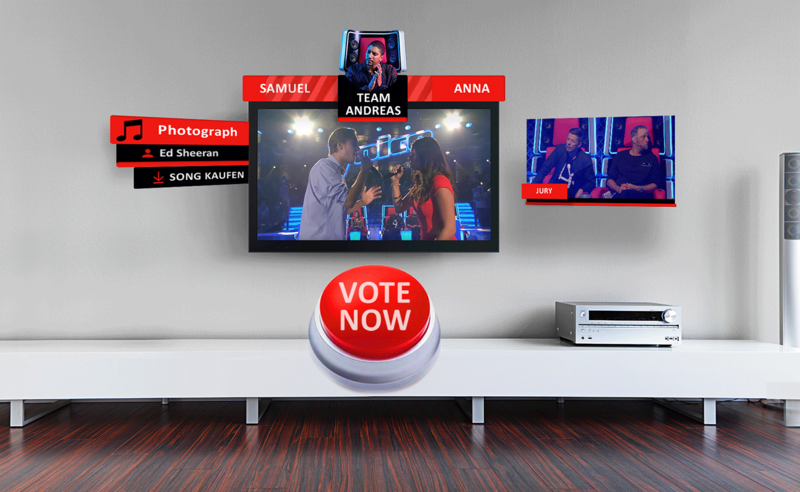 augmen.tv enables the audience to directly participate in live broadcasted TV shows. Voting for the favorite singer of a talent show, guessing the right answer to the million dollar question, competing in a game show is now possible at the palm of your hand. It’s a child’s dream to make their favourite cartoon character come to live to play together. augmen.tv will fulfill the dream letting the characters jump out of the screen to explore adventures or solve riddles with the kids. 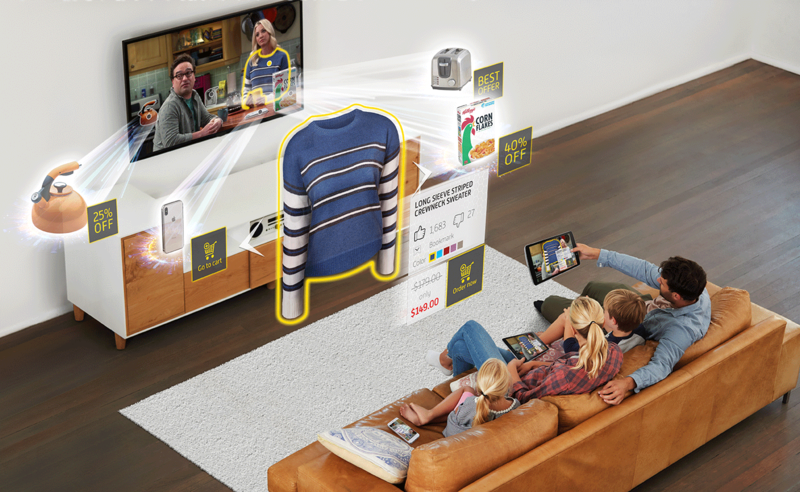 Turn the living room into an amazing mixed reality playground! Want to check whether Brad Pitt’s watch in the movie would suit your style? Or what brand Robert Downey Jr.’s car is? augmen.tv allows to get information on products shown in every TV show, movie, commercial or video. AR shopping features help driving lead generation and e-commerce. Educational TV will never be the same. Experience documentary films, news and reports on a new level of interactivity. Knowledge can be actively acquired and deepened through videos enriched with additional info features, interactive graphics and animations. Imagine watching a live sports match and seeing all relevant stats and data around the TV screen! augmen.tv gives access to live data and news feeds on the match, teams and players in real-time. Recall the last highlight moment using the replay feature and never miss out a goal again! Do you have a burning idea for the future of video? Your toolbox for the future. Be it interactive AR product placement or affiliate marketing - augmen.tv enables you to build new monetization models around your video. Let the viewers purchase your products directly via the AR shopping feature. There is no limitation on creativity for your videos. We help you to create rich, two-way video experiences for your audiences. 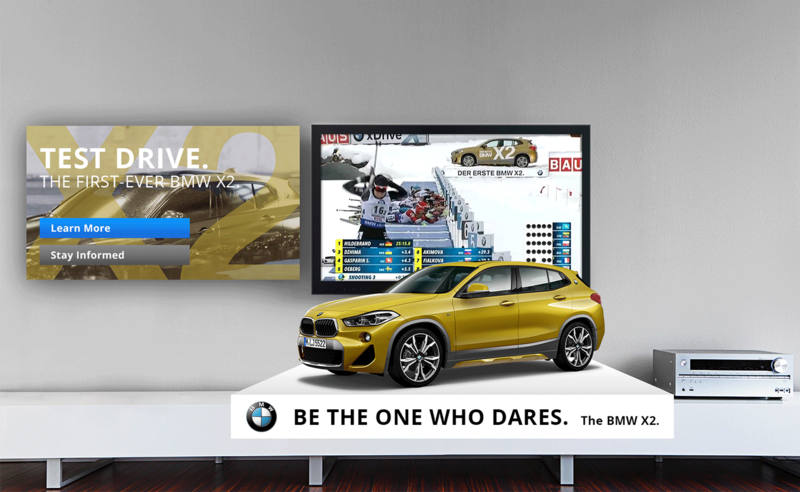 Through interactive features the viewers can now actively respond to the content in any way you want. Content is no longer limited to the video screen. With an extra layer of storytelling you can include additional information. 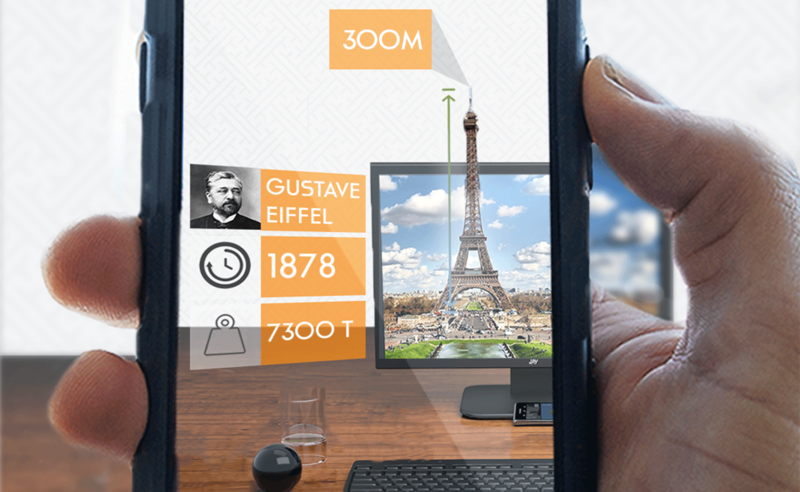 Display extra AR content perfectly synchronized to the video in the space around the screen. Identify your content in real time. augmen.tv is a revolutionary, computer-vision-based solution using moving images as the marker and trigger for AR. Forget about visible marker elements in your video – our unique TELEMARK™ technology is perfectly suitable for any Live TV broadcast and video. Your user can operate the various AR effects according to their taste. 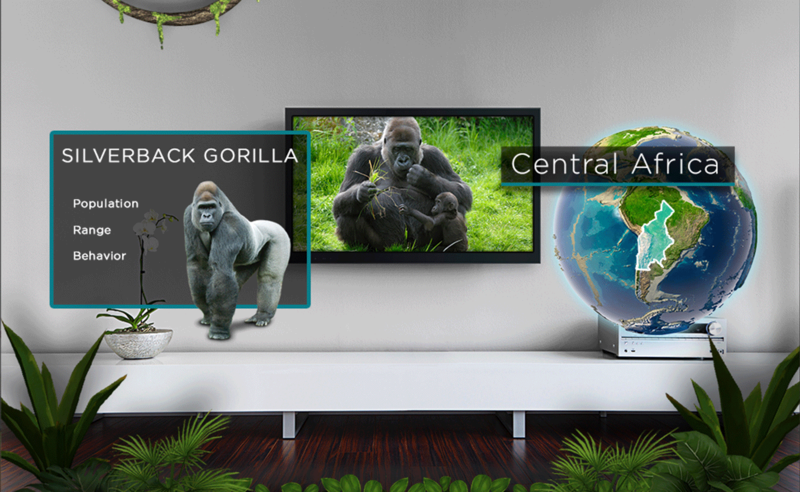 2D and 3D CGI content will be augmented around your TV – in real time! Exact timecode syncronization takes place and eliminates the offset. The TELEMARK ™ technology identifies the video or live TV channel. The in-app-software detects the TV as well as the viewing angle and keeps track on it. From 2019 on, you can build your own AR experience for your video. The Unity SDK enables you to incorporate our identification technology seamlessly into your apps. You leverage your existing install-base while bringing it to the biggest possible audience - your fans. We’re looking forward to hear from you! Interested in receiving a demo? Have a thousand ideas for your business? Need answers to your questions? Drop us a line and we’ll get back to you! augmen.tv® is a registered trademark. © Copyright 2019 eyecandylab. All Rights Reserved. If you wish to receive news about augmen.tv in general or wish to receive regular information about more concrete topics, please feel free to subscribe to one or more of our newsletters. Please note when you subscribe, you will receive an opt-in email to confirm your subscription first. Also note that all information entered here is part of our privacy statement which you can read up on here.